When we look at Serbian banking today we can safely say that there is not a single large bank that has not embarked on a digital journey that we chose as far back as 2013. Online banking products, communication with banks’ representatives via video and chat option is something that banking now implies in 2018. However, in 2013 and 2014 that was not the case. It was visionary and courageous to make such a decision and then be persistent to keep it up. Nonetheless, we were not alone on that journey. By following current trends in IT, banking and other industries, our partners from NF Innova have always been by our side, presenting emerging opportunities and trends in modern technologies, regardless of the industry these innovations originated from. One such example was the video call option. Due to our Personal Banker Concept and our aim to be the first bank to implement real time online communication with its clients, we were certain that video call would be the option to provide our customers that personal touch much needed on digital channels. NF Innova expertise in digital signature technology developed for the Republic of Serbia has been of great help in the development of our Digital Branch. 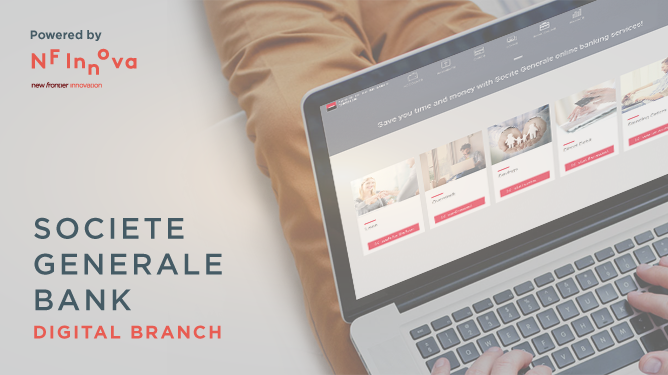 Digital Branch is not cut off as an individual brand or legal entity, but is a part of the bank’s multi-channel environment. The most important was the fact that the branch and the contact center employees have all recognized this new channel as a means for a quicker response to customers’ needs and requests. To put it simply, the process of overdraft renewal, which lasted 30 minutes on average, was reduced 6 times to an amazing 5 minutes by using the Digital Branch. This resulted in a WOW effect, even with the clients who had not used e-banking before. The inclusion of a large number of IT startup community representatives as well as online marketing experts to promote the Digital Branch concept has been of great benefit and has even resulted in that a large number of them started using our online services themselves. Continuous improvements have been carried out in the past years based on the insights of our clients and the employees who promoted the Digital Branch. For an even quicker response to ever growing market demands, we adopted the Agile approach to projects in 2016. In addition to improving the existing offer and thanks to the flexibility of the platform, we were able to integrate our partners’ offers in various ways, such as insurance purchase, one-click payment, and even deliver our services via partners’ applications. This journey has not been as easy as it seems, including the technological challenges. As with all advanced technologies, there is always room for improvement, so the initial video call solution had to be upgraded, with unwithered support from our partner, NF Innova. Now, a new and improved video call solution includes co-browsing technology. Our operators, but most importantly our customers are extremely satisfied with the new solution. The average rating on this service is 4.7 out of 5 and the number of sessions is measured in thousands per month. The personal satisfaction that we have all felt during the realization of the Digital Branch project was crowned with the acknowledgment from the Societe Generale Group presented to SoGe Serbia, for the best innovative retail banking solution in 2016 developed by NF Innova, as a part of the eBanking integrated platform. The short-term plan is to replace digital signature certificates with two-factor authentication digital certificates, which will increase the multitude of online processes, without the need to exchange any printed documents. Furthermore, we intend to continue working on our AI NLP BOT solution “Sožeta”, with the aim to teach her to be a true financial advisor to our clients. We intend to achieve this with the support of our partners and increasing involvement of our clients in the development process itself. 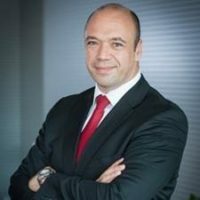 Aleksandar has over 20 years of professional career, with over 15 years in the field of Retail Banking Sales and Distribution, CRM and product development. In 2013 he joined Societe Generale Bank Serbia where he has developed Retail Bank Digital Strategy, resulting in launch of the first full on-line Digital Branch on the Serbian market in 2015. 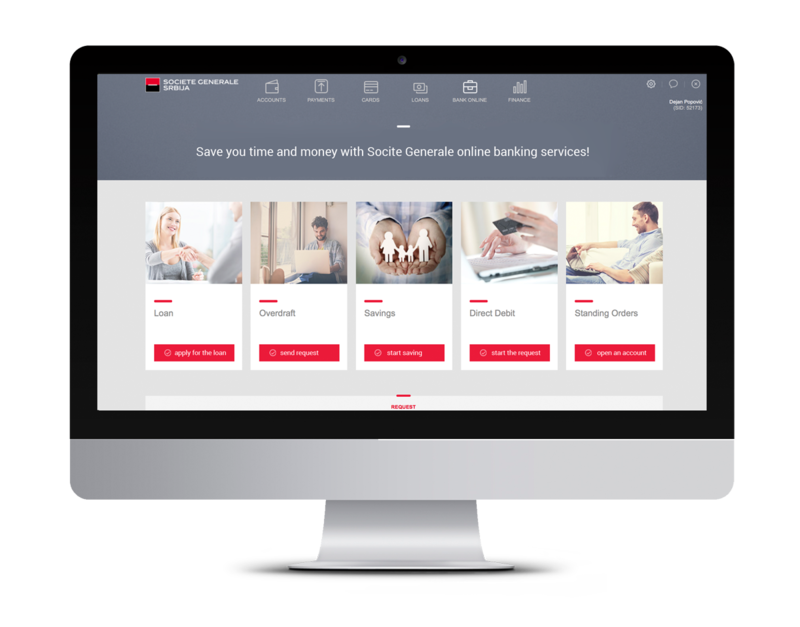 He is also in charge for Societe Generale Customer Care Center where he introduced new features such as remote desktop support for clients utilizing Bank’s Internet Banking applications and improved Customer Care Center Sales Capabilities thus making it more balanced between service and sales.